Building a house in Kenya: Like many Kenyans, Ms. Caroline Waithera’s ultimate dream was owning a home. After buying a piece of land in Ruai, Nairobi County, last year, she discovered that the Sh. 3 million she had saved to build her dream home was insufficient. Discouraged, she thought of building without the help of a contractor but the budget still shot past her Sh3 million life savings. It was just as she was on the verge of despair that Ms. Waithera was introduced to Mr. Farrowson Murithi, a real estate player who came to her rescue at the last minute. Mr. Murithi is the managing director of Pacific Reality, a construction and project management firm based in Ruai in Kasarani. “He told me that I could get my three-bedroom master en-suite house with a dining room and separate laundry room for Sh1.6 million. At first, I did not believe it was possible to build your house cheaply, especially given the classy finishes I wanted. I was tempted to dismiss the firm as a sham and only committed myself after seeing several other projects it had carried out on a similar budget,” Ms. Waithera narrates. Speaking at her new home, Ms. Waithera says she moved in 12 weeks after the construction began. Ms. Waithera’s story is similar to that of Mr. Antony Githinji, a Kasarani-based businessman, and farmer who also sought help from the company. “I was mulling over purchasing a house in the area for Sh3.5 million but Pacific Reality managed to build it for me for Sh1.9 million instead. They also took care of the perimeter wall and utilities like electricity, water, and a septic system. Overall, I found the entire process extremely efficient,” he says. Speaking at the company’s office in Ruai Town, Mr Murithi insists that building a house need not cost an arm and a leg. “Most project costs quickly balloon out of control due to poor planning and builders not being informed about the current trends in the construction industry. However, with proper organisation, consultation with experts and close supervision, clients can avoid burning their fingers,” the CEO says. And going by market trends, the firm seems to keep building costs relatively lower. 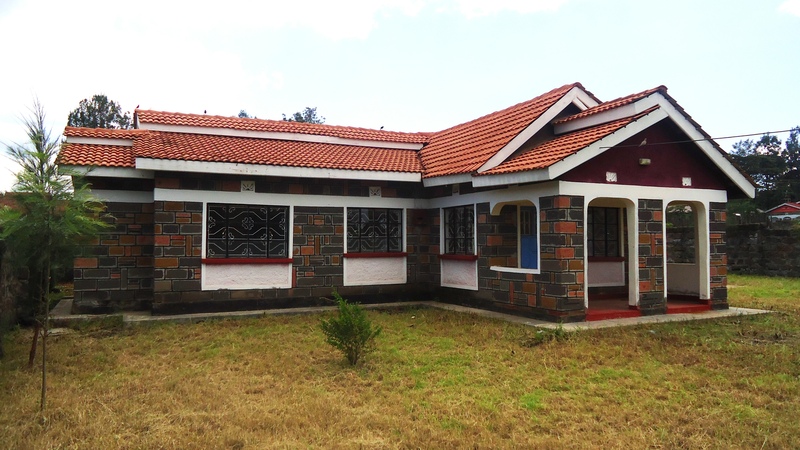 For instance, it has built three-bedroom bungalows and storied maisonettes for Sh1.6 million and Sh2.6 million respectively. A spot-check by DN2 revealed that similar houses for sale in the same area go for a minimum of Sh4.5 million and Sh5.7 million respectively. The firm can also build smaller houses for as little as Sh900,000.